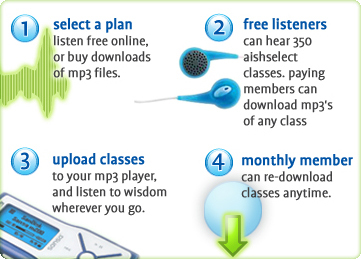 It's the place you go for instant access to over 2,200 (and growing) digital audio classes by more than one hundred of the great Jewish minds from around the world. Come join the tens of thousands of people who have enriched their lives through our audio Torah classes. Our dynamic speakers are available to you 24/6, and digital downloads make it easy to take our wisdom for living with you on the the road. Whatever interests you most -- Jewish History, law, the Torah, raising teenagers, prayer, Israel, and many more-- you'll find it just a few clicks away.